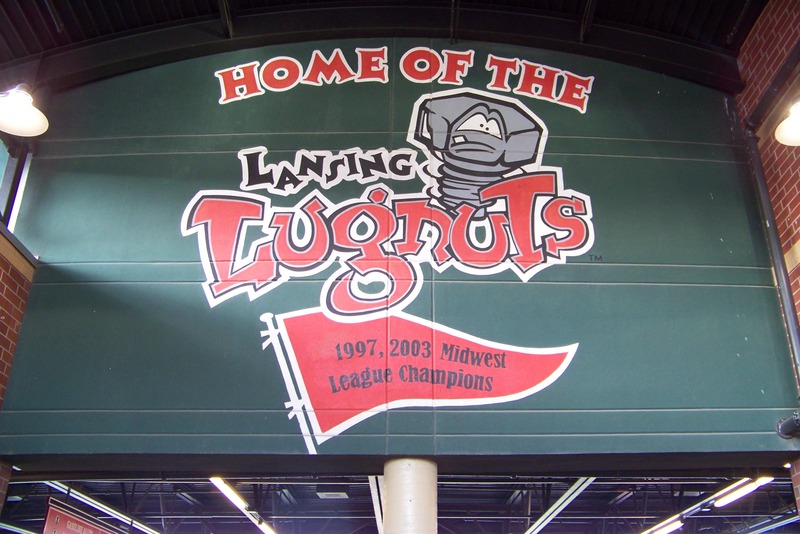 The Lansing Lugnuts roster includes a quartet of players ranked by Baseball America among Toronto’s top 30 prospects. They include two of the top three rated pitching prospects in the Blue Jays organization, RHP Sean Reid-Foley (No. 5) and RHP Jon Harris (No. 6). Reid-Foley started last season with the Lugnuts, going 3-5 with a 3.69 ERA, 90 strikeouts and 43 walks in 17 Midwest League starts (63 IP) before finishing the year in High-A, where he went 1-5 with a 5.23 ERA, 35 strikeouts and 24 walks in eight starts (33 IP) for the Dunedin Blue Jays. Baseball America says the Jays intend to develop Reid-Foley as a starter, but the right-hander “fits the closer profile well.” The best pitch in his repertoire is a fastball that touches 97 mph and typically sits at 92-95 mph. Harris will be making his Midwest League debut this year after spending 2015 (his first season as a pro) with the Vancouver Canadians of the short-season Northwest League. He went 0-5 with a 6.75 ERA, 32 strikeouts and 21 walks in 36 innings last season. Baseball America says the Blue Jays attribute the right-hander’s poor debut to fatigue: “they weren’t happy about it but aren’t panicking either.” BA projects his ceiling as being a mid-rotation starter in the big leagues. One other Lugnuts pitcher appears on BA’s Blue Jays prospects list: LHP Angel Perdomo (No. 26), who split last season between the rookie-level Appalachian League and the short-season Northwest League. Overall last year he went 6-1 with a 2.60 ERA, 67 strikeouts and 30 walks in 69.1 innings (14 games/12 starts). One Lugnuts position player is on Baseball America‘s top-30 Blue Jays prospects list: third baseman Carl Wise. He played in 54 games last year (mostly in the short-season Northwest League), batting .235 with 1 HR and 31 RBI in his first season as a pro player. You can see the entire Lugnuts roster here. The Lugnuts will be managed by John Schneider this year. You can read about him and his coaching staff here. This entry was posted in Appalachian League, Dunedin Blue Jays, Florida State League, Lansing Lugnuts, Midwest League, Northwest League, Vancouver Canadians. Bookmark the permalink.